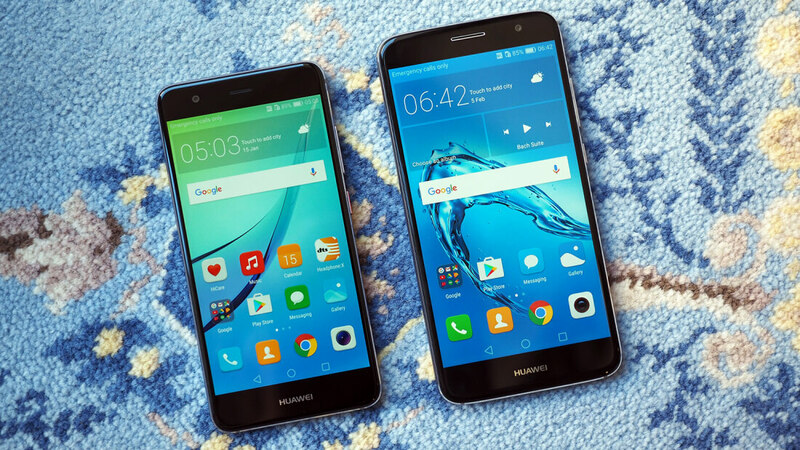 Huawei has taken the stage at IFA 2016 to announce the Nova and Nova Plus, two new mid-range handsets with designs that rival the best we've seen from the company in the past year. Both the 5.0-inch Nova and 5.5-inch Nova Plus feature aluminium chassis reminiscent of the Huawei P9 and Nexus 6P, complete with a rear fingerprint scanner. The Nova looks the most like the Nexus 6P, with a black bar at the top of the back panel that includes a 12-megapixel camera with an f/2.2 lens. The Nova Plus looks more like the OnePlus 3 with its square camera housing for a 16-megapixel optically stabilized sensor. Most of the hardware in the Nova and Nova Plus is identical. While the sizes of the displays differ, both are 1080p, and both are powered by a Qualcomm Snapdragon 625 SoC. The S625 is an upgrade on the Snapdragon 617, packing eight ARM Cortex-A53 CPU cores at 2.0 GHz along with a new Adreno 506 GPU. There's also 3 GB of RAM and 32 GB of storage, plus a microSD card slot. Both phones come with Cat 6 LTE support and USB Type-C, with the Nova packing a 3,020 mAh battery, and the Nova Plus a larger 3,340 mAh cell. On the software front, you'll be getting Android 6.0 with Huawei's heavy EMUI 4.1 skin, which is essentially the same software seen on the Huawei P9. The Nova and Nova Plus will be coming to Europe in early October, priced at €399 (approximately $370 excl. tax) and €429 ($400) respectively.